We got a lot done in 2015! This update and “Happy New Year” message comes a little late but we’re sneaking it in before the end of the month… Still counts, right? It’s hard to believe we’re already wrapping up the first month of 2016! Speaking of hard to believe, if you told us at the beginning of last year we would be adding a VW Mk1 Rabbit Pickup to the Spina² fleet we would’ve laughed it off, all while wishing it was true. We would’ve called you crazy and wondered if you were confusing us with someone else if you added that we would ultimately be rebuilding said Mk1 Rabbit Pickup from the ground up, turning a rolling shell into a reliable pickup. It’s still a little hard to believe it but we actually did take on such a build and we are glad we did! While we now have a running Caddy there is still much work to be done so count on more updates of that project. The Golf finally got its long over-due facelift! Hopefully we won’t need to wait as long to complete the next phase of this on-going project. 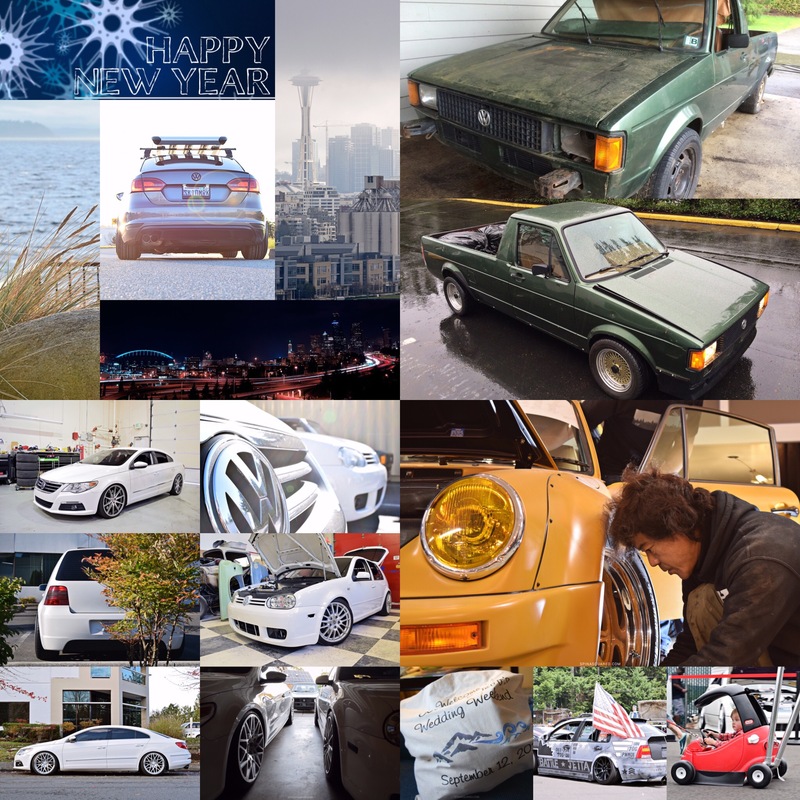 If you’re following us on Instagram you saw RWB Seattle #2 happened. We still need to figure out how to put that experience into words and when we do you’ll see an update here. We are grateful to still be here in 2016 and are anxious to see what happens next. If only we could figure out a way to slow down time. Thanks for “staying tuned” and keeping up with us!